Pyongyang said it will stop conducting nuclear tests if the US puts an end to its annual military drills in the South, North Korea’s foreign minister told AP on Saturday. At the same time, Ri stressed that his country has the right to maintain a nuclear deterrent and will not be bullied by international sanctions. Korea’s foreign minister asserted that it was the US that had pushed the North to develop nuclear weapons as a self-defense strategy, adding that the only thing that could dissuade the country from carrying out its tests, would be for the US to halt its military exercises with Seoul. 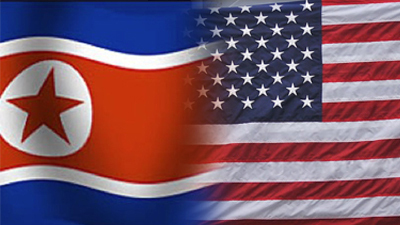 “It is really crucial for the United States government to withdraw its hostile policy against the DPRK [Democratic People’s Republic of Korea] and as an expression of this stop the military exercises, war exercises, in the Korean Peninsula. Then we will respond likewise,”he said in Korean. If the drills were to be stopped “for some period, for some years, new opportunities may arise for the two countries and for the whole entire world as well,” he observed. Ri arrived in New York on Friday for an official UN ceremony, where over 160 countries signed on to a climate change deal reached last year. In response to Ri’s comments, a US official told AP that participating in military exercises in South Korea demonstrates the US’ commitment to the region and provides an opportunity to update existing military techniques. “We call again on North Korea to refrain from actions and rhetoric that further raise tensions in the region and focus instead on taking concrete steps toward fulfilling its international commitments and obligations,” said the official on condition of anonymity. Pyongyang views American exercises in the South as a rehearsal for an actual invasion of the North. This is not the first time such a proposal has been made, but the US continues to insist that North Korea must make the first move by giving up its nuclear ambitions. Tensions between Pyongyang and Seoul recently escalated after the North conducted a hydrogen bomb test in early January and successful put a satellite into orbit a month later, going against several UN Security Council resolutions. North Korea stated on Sunday that its most recent submarine-launched ballistic missile test, which was overseen by the country’s leader, Kim Jong Un, had been a “great success,”providing “one more means for powerful nuclear attack,” the North Korean news agency, KCNA, reported. “It fully confirmed and reinforced the reliability of the Korean-style underwater launching system and perfectly met all technical requirements for carrying out… underwater attack operation,” the news agency said. A submarine-launched ballistic missile (SLBM) was fired on Saturday from the Sea of Japan (also known as the East Sea) in open waters at about 6:30 pm local time (0930 GMT), Seoul’s Joint Chiefs of Staff (JCS) said. The missile flew “for a few minutes,” Yonhap agency reported, citing a military source.